Matteo worked as a cook in Madrid (for more details check out here) and from his first job he took a wok, that he had been using every day. We had it sitting in a cupboard for long, since we didn’t want to use it as a pan, so we had to find a solution. First we thought of painting it and hang it as a wall decoration. 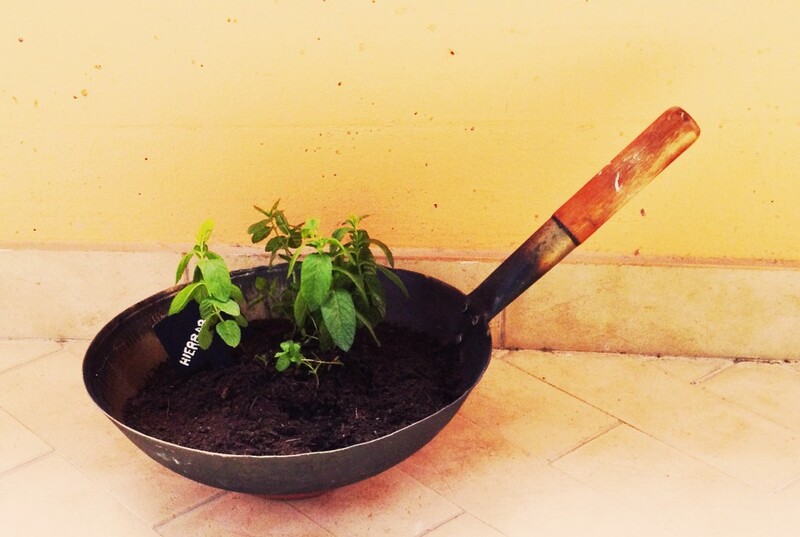 But then we had an idea: we turned it into a pot. We sprayed it with transparent varnish, filled it with new soil and added some tiny mint plants. 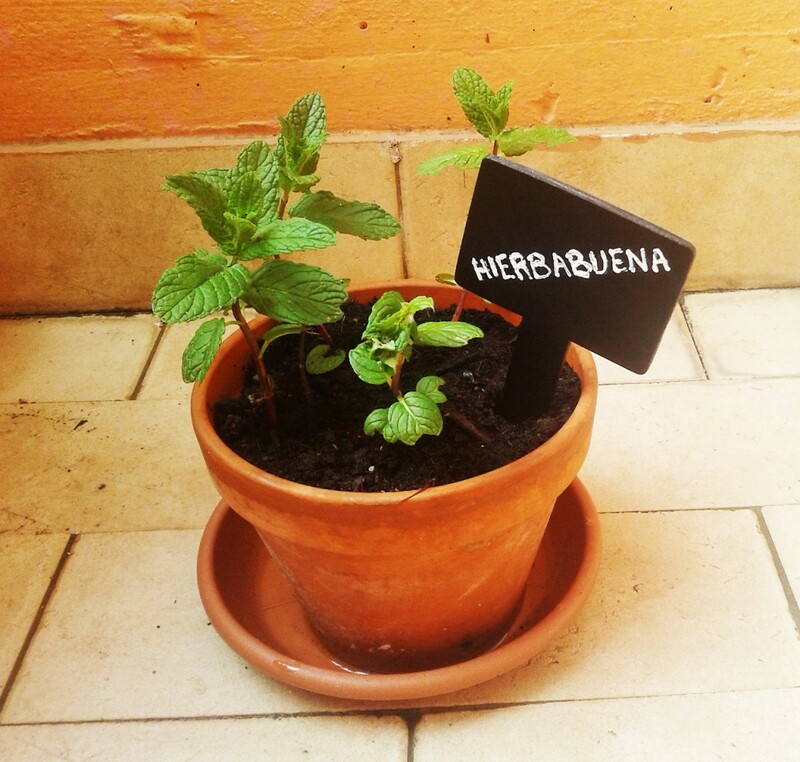 It is actually hierbabuena, a specific kind of mint, perfect for mojito!